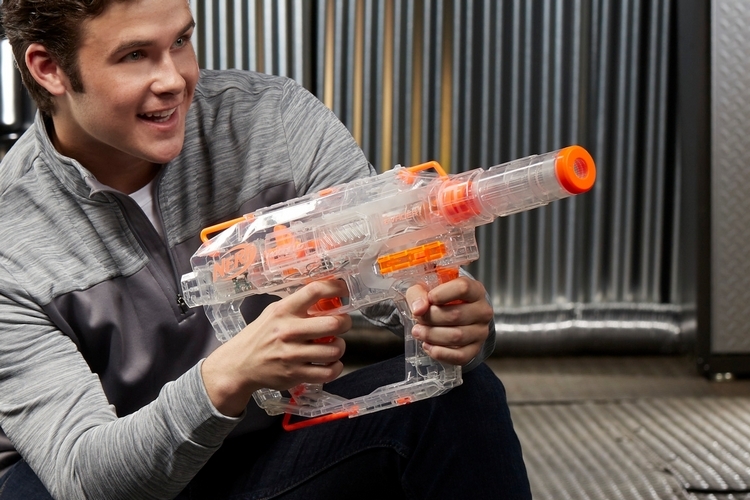 We don’t know how many models of Nerf blasters have been released since 1992. 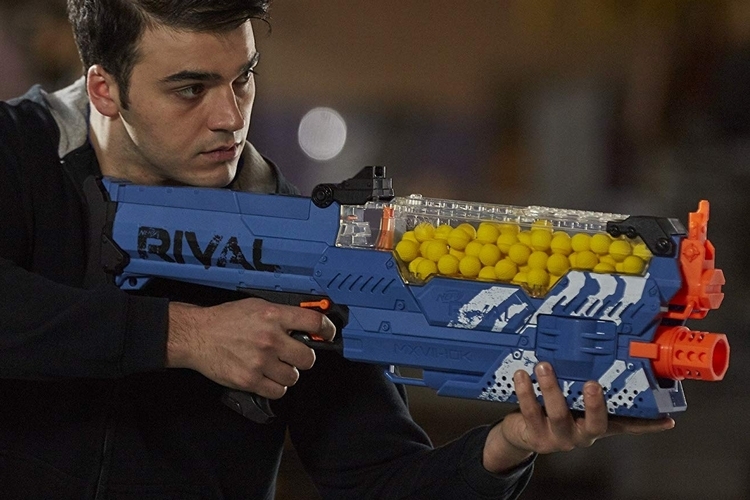 What we do know is that these foam-firing toy weapons have given us some of the most entertaining play we’ve had, whether as children battling on the playground, as teens fighting close-quarters in the classroom, or as grown people slinging foam darts at each other in the office. Yes, while wearing button-downs and neckties, too. 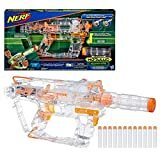 Having been around for over 20 years, Nerf has a ridiculous amount of blaster models, making it genuinely difficult to pick ones you should add to your collection. 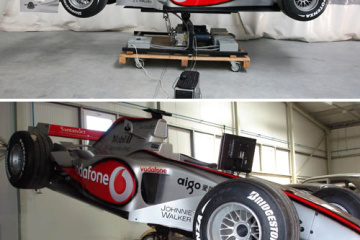 So here, we’re going to look at some of the models we absolutely love, whether they’ve been in the market for a while or are still scheduled to debut in the coming months. The handheld minigun, which made its first appearance in the 1987 film Predator, is easily one of the coolest weapons ever conceived. We know, carrying a gigantic battery-powered rotary gun with a 6,000 rounds per minute firing rate is patently impractical, but that doesn’t change the fact that few things can make you look cooler while you put dozens upon dozens of bullets at everything in sight. 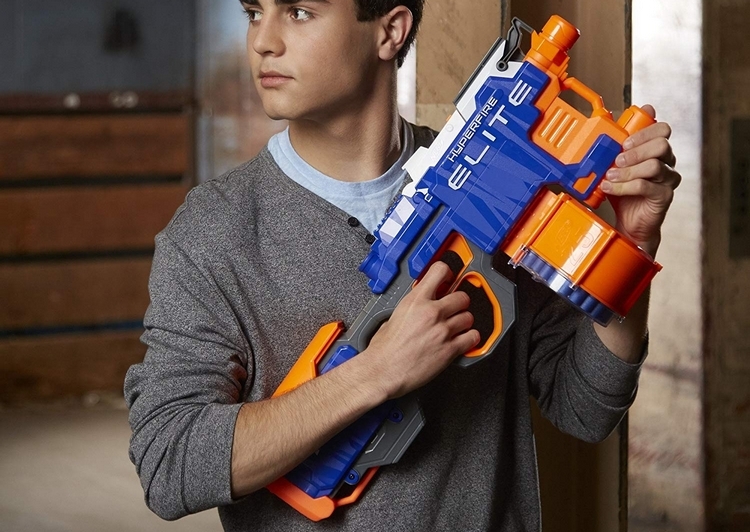 With the N-Strike Elite Titan CS-50, you can now look just as cool while raining down foam darts at everything in your way. That’s right, there’s now a rotating handheld minigun in Nerf’s armory, allowing you to be the Sgt. Blain Cooper of your own foam warfare squad. 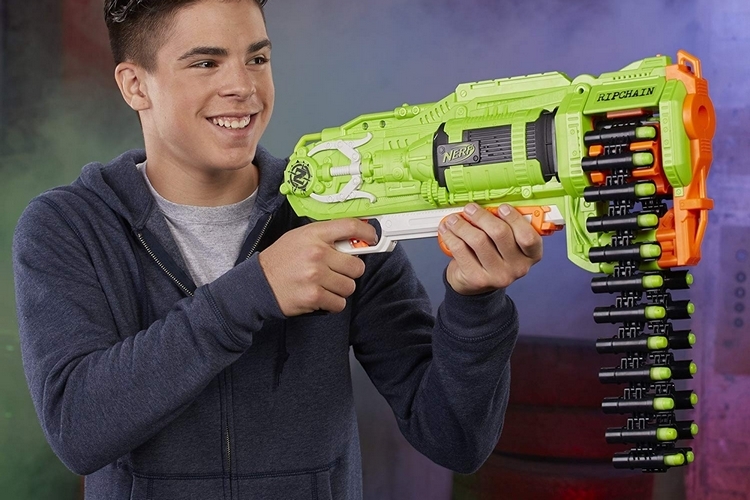 Sadly, it only holds 50 darts at a time, although the barrel does perform that awesome spinning effect, which should make this quite the fun blaster to bring into battle. 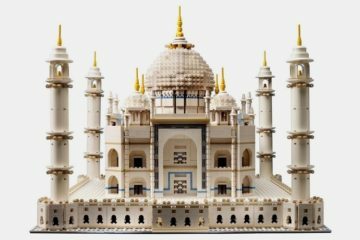 It comes out later in the year. 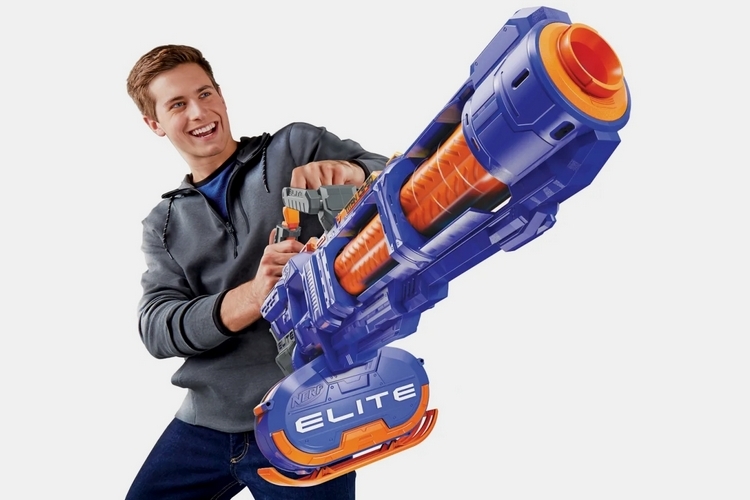 It fires five darts per second and holds 25 darts on the magazine, allowing you to rain down a quick blast of fury at any target of your choosing, hopefully confusing your opponents enough to afford you enough time to reload. 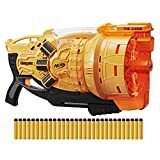 Running on four D-batteries, this fully-automatic blaster has the highest firing rate among unmodified dart shooters in the outfit’s arsenal, making it one the most effective weapons you can carry into battle. Be aware, however, that it’s also one of the noisiest, so firing indiscriminately is likely to immediately give away your position. Two alternating barrels, two drums holding 25 darts apiece, and a fully-motorized firing mechanism makes this a great blaster to have in the field. A size comparable to a minigun, however, makes it unwieldy, which is why it comes with a tripod for mounting on a surface, although you can always hold it awkwardly by hand and fire from the hip, in case you enjoy dealing with the challenge. Truth be told, it’s a nice blaster to have when you’re camping at a good spot, but absolutely not when you need the mobility. On a positive note, it’s one of the best blasters you can show off on a shelf at home, likely making for an instant conversation piece anytime someone comes over for a visit. Everyone needs a side piece when battling enemies with foam in the battlefield. While some people prefer the easy-to-conceal Jolt, we’re more partial to this six-dart pistol blaster, which delivers some of the best accuracy and covers a lot of distance (up to 90 feet) for something you can conveniently fire with a single hand. It supports slam-fire, too, so you can unleash all six ammo, in case you chance upon an unwitting opponent in very close-quarters. You want that handheld Nerf minigun, but you prefer the faster firing rate and spherical ammo of the more adult-oriented Rival blasters? 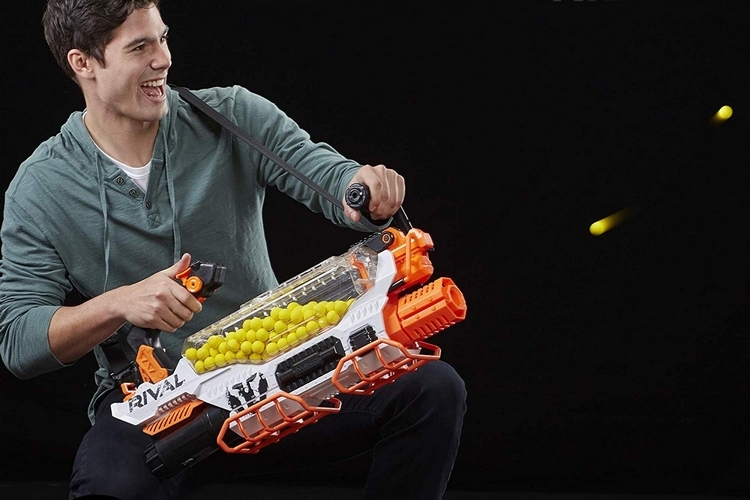 Well, here’s a suitable compromise: a Rival blaster that you carry the same way, allowing you to rain down hell on your opponents with the same nonchalant posture. Sure, it doesn’t have the cool spinning barrel or the crazy aesthetics of a rotary weapon, but with a firing rate of 8 rounds per second, a 200-round chamber, and the ability to unleash projectiles that pierce through the air at 100 feet per second, we bet using it is going to be just as fun. It comes with a trigger lock, tactical rail (so you can add accessories), and a shoulder strap, so you don’t have to tire out your hands carrying it the entire time. With a hopper that holds 100 rounds, a fully-motorized firing mechanism (it runs on six D batteries), and the same 100 feet per second travel speed for its rounds, this rifle-style blaster puts serious firepower in your hands. Unlike earlier Rival models (namely, the Zeus and Apollo), the hopper can be easily opened, allowing you to just pour in a handful of foam spheres whenever you need a reload, so you can get back in the thick of the action in very short order. Oh yeah, don’t shoot at anyone not wearing protective goggles because these things fly fast enough to take out an eye. Yikes. 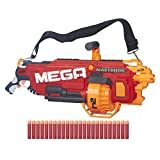 The first motorized Nerf blaster to fire Mega foam darts, it’s one of the most intimidating blasters you’ll ever lay your eyes on. Equipped with a 24-dart rotating drum, staring down its business end should be equal parts scary and fascinating, with the whistling darts adding an ominous sound to the proceedings. Being fully motorized means you can empty those two-dozen clips in mere seconds, too, allowing you to rain down hell when you find a group camping, instantly taking everybody out in a single attack. Like many of Nerf’s blasters with rotating drums, it requires six D batteries, so make sure to buy rechargeable ones to save you plenty of expense down the line. 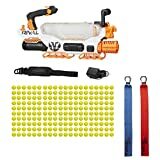 One of the most customizable blasters around, the Regulator can support over 100 different configurations, provided you purchase all the other non-bundled accessories, of course. From scopes and stocks to lights and barrels, you can turn it into an entirely different blaster to support whatever you need for each battle. It comes with the outfit’s SwitchFire technology, allowing you to easily switch among three firing modes (single, semi-auto, and full-auto), so you can use the same rifle to snipe enemies from afar, fire burst shots from medium range, and unleash a surprise barrage on an unwitting opponent. One of the flashiest blasters around, the Evader comes in a transparent shell that lets you see the entire mechanism working with every pull of the trigger. From what we can tell, the transparent construction helps you attack more stealthily (it’s hard to make out whether you have a blaster or not), while integrated LEDs allow it to put on a light show, in case you want to draw enemies you way before jumping them with your squad. It uses a 12-dart clip, so you get two dozen shots on tap, along with support for Modulus accessories, allowing it to be customized in dozens of different configurations. 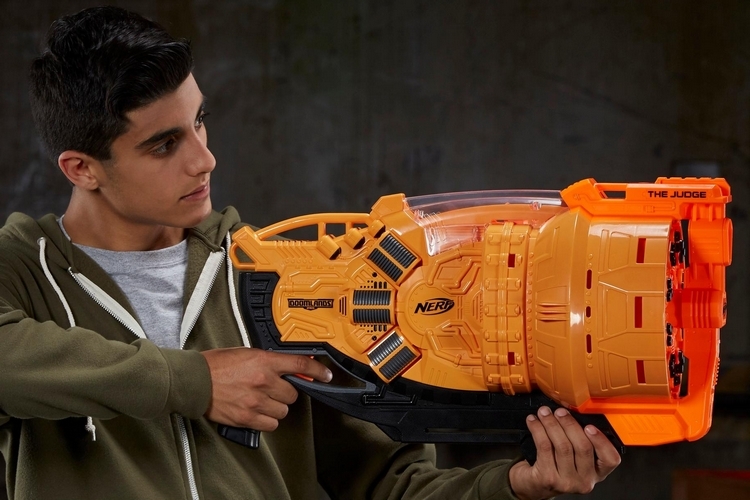 This super-sized blaster from Nerf’s post-apocalyptic line is easily one of the most intimidating Nerf guns we’ve seen, coming with a drum that’s big enough to cover someone’s face. It unloads three concurrent shots at the single press of the trigger, with the rotating drum holding up to 30 rounds at a time, so you can put in 10 attacks before needing to reload. Do note, you’ll need to prime the blaster by moving the slide back and forth before every shot, so it won’t give you the fastest way to get a shot off. Still, it’s a fair compromise to make for the sheer joy of walking into battle with a gun that looks this gnarly. A rebooted version of the discontinued Elite Longstrike CS-6, this sniper blaster mimics the function of bolt action rifles, requiring you to pull back the bolt after every shot, so you can feel like you’re an actual sniper operating 98k or something. It uses a clip that holds just six darts, although it’s got two extra clips that can be stored right on the stock, so you can easily reload wherever you are currently positioned. The decision to recreate the Longstrike under the Modulus banner was a smart one, by the way, since this allows you to customize the rifle with a whole load of different accessories that can help you nail targets from long distance. 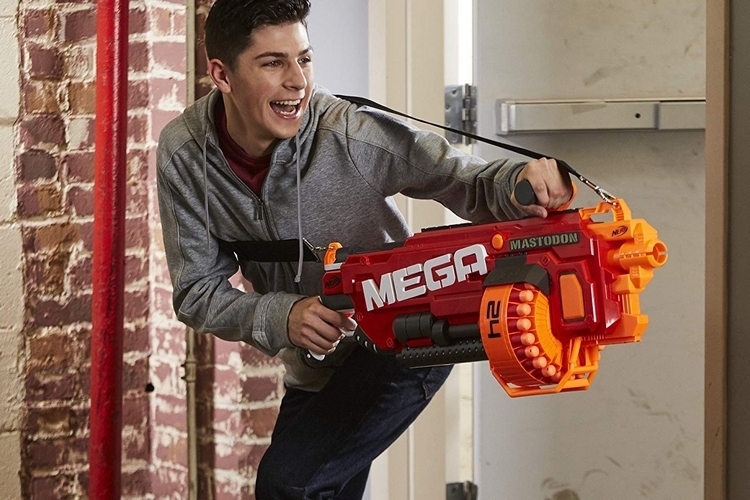 As gnarly as some of Nerf’s bigger blasters look, there’s something about a blaster that uses an ammo belt that just makes it feel like a weapon fit for an action hero. Seriously, this thing makes me feel like I’m fighting Predators in the jungle, instead of dorks at the office after 7PM on a weeknight. Equipped with a 25-dart chain, this zombie rifle can fire shots one at a time for precision aiming or unload its entire haul in one fell swoop using the integrated slam-fire action. Yes, reloading the chain feels much slower than a traditional clip, but that would be the best excuse to get a few extra chains, wear it like a bandolier, and prance around the battlefield like a half-priced Rambo. Or something. 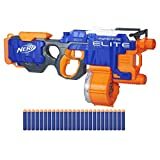 The Nerf N-Strike Elite Hyperfire fires 5 nerf darts per second! That is actually pretty cool that it can shoot that fast, but with a 25 dart capacity It’ll only take 5 seconds to shoot all of them…and then another 5 minutes of reloading lol. Naaa…it only takes about 1 minute to reload. The hard part isn’t reloading but trying to find all the darts that shot out. 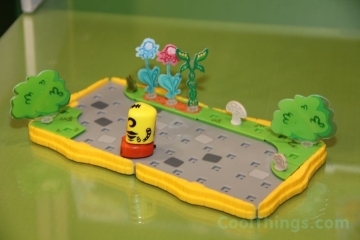 What they should do is build a barrel/pump that shoots the nerf darts, but is Lego-based so you can build you Legos up around it. 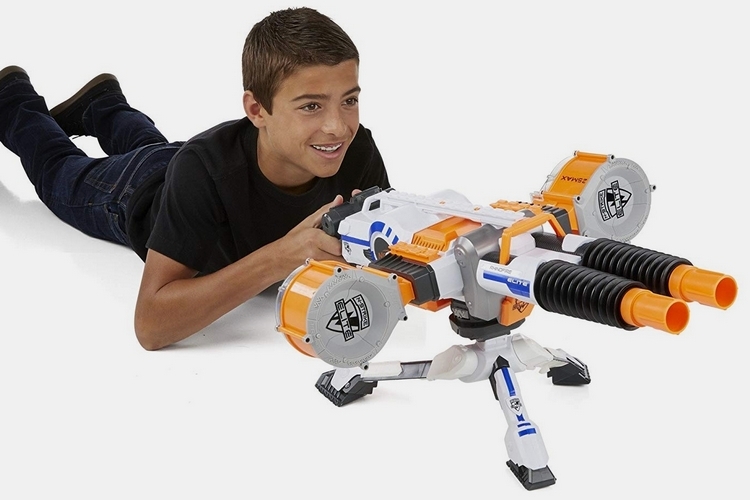 I am glad they don’t model the NERF guns after a real gun. The AIRSOFT guns look to realistic to let me kids play with, but no problems with police mistaking these NERF guns for a real weapon. I wouldn’t mind an actual weapon based on the Doomlands the Judge Nerf gun. That design looks sweet! 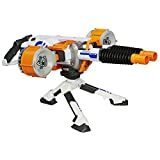 I am not a fan of the Nerf Modulus Ghost Ops Evader. It sure looks cool with that clear casing when you buy it, but I suspect it will rapidly get scratched up, and then you could no longer see the insides of the gun. I like the bright colors of the other NERF guns more than this silly clear plastic. 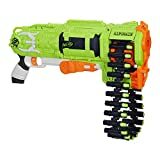 I see some of the NERF guns are cheap and some of them such as the Nerf N-Striker Rhino-Fire Blaster costs well over $200. 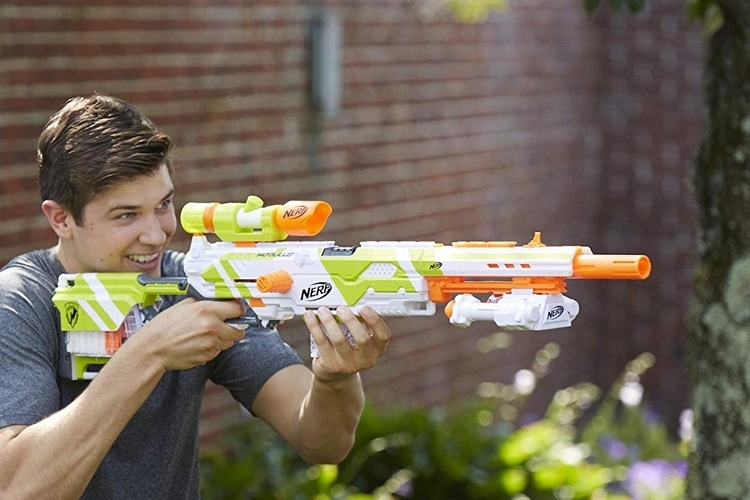 Does Nerf actually sell many of these expensive type guns? 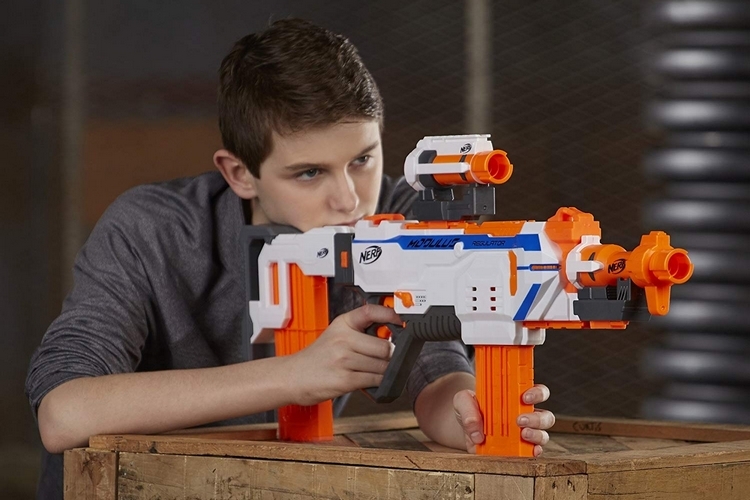 I always assumed Nerf guns were for kids to play with, but I can’t see many parents buying a $200+ Nerf gun. There are a lot of adults that collect and trade nerf guns. Some of them deemed as collector’s items can resell for over $500 or more depending on the rarity of it. Nerf guns are still marketed to appeal to kids though, but I agree with you. 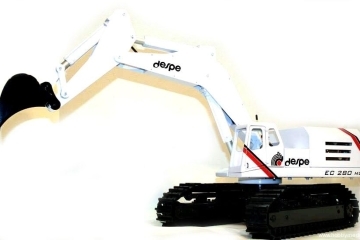 How can a parent afford a Nef Gun toy that is s oexpensive? 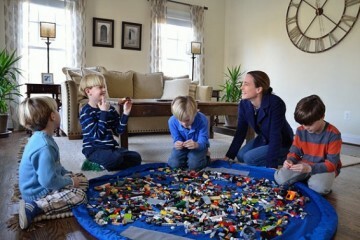 My kids would break it or lose it real rapidly, so I stick with the cheap Nerf guns for them to play with. So I am in my 30’s, but my dream job would be to design Nerf guns. What better way to spend your days then sketching out new designs and playing with prototypes of the nerf guns you design! 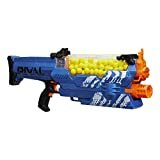 I am glad they added the ability to open the hopper on the Nerf Rival Nemesis. It is really annoying to only be able to load one Nerf bullet at a time, so the ability to just pour them all in is a real blessing to those kids who actively use Nerf guns. 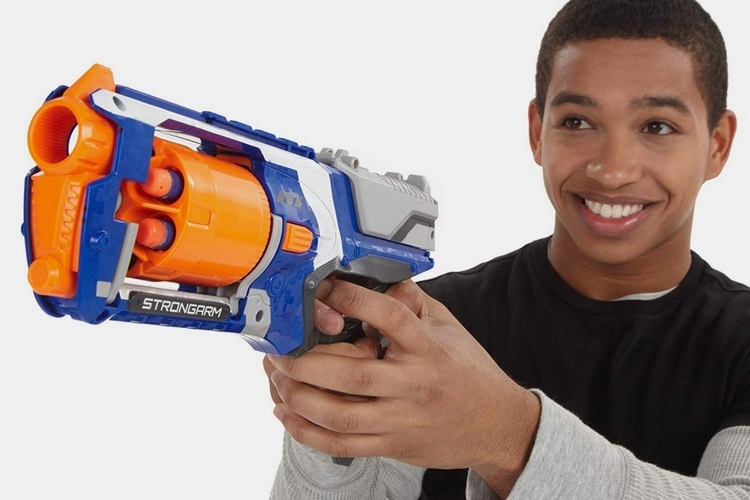 The market for Nerf guns seems to be kids who play with them and adults who collect them. 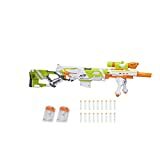 Unfortunately, the adults collecting them have caused the value of all of them to increase, which makes it harder for single mothers to be able t afford even the cheapest of Nerf guns.